THE Scomo Express appears more airport shuttle than state battle bus, being driven a third the length of Queensland while the PM flies the leg in between. 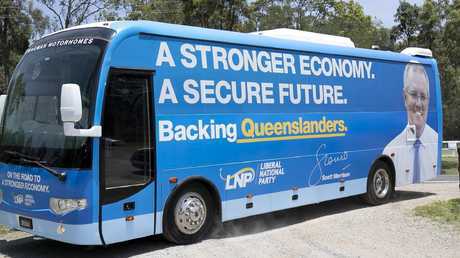 The Prime Minister admitted the bus, decked out in LNP blue with a photo of Mr Morrison and slogans A stronger economy, a secure future, backing Queenslanders, will be headed to Rockhampton later today without him. Mr Morrison said the bus tour wasn't about spending time on a coach, it was about best using his time to meet more Queenslanders. 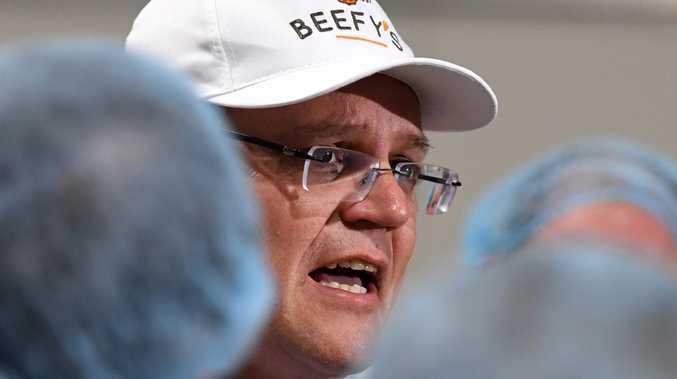 "The bus is going all the way to Rocky, that was where it was always planned to go," Mr Morrison said on the Sunshine Coast today. "It's a big state and I need to cover as much of it in four days as I can. "We were never planning to take the bus to Townsville. We always planned to take that last leg up to Townsville by plane because that was the most effective way to get there and to spend the most time with people there on the ground. 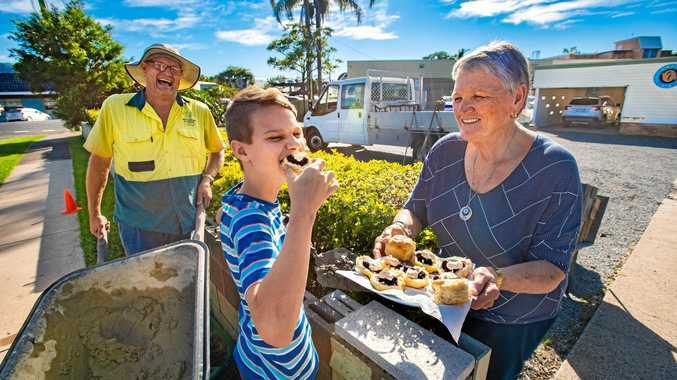 "These visits aren't about sitting on a bus, they're about engaging with small businesses and our supporters and the people of Queensland and listening to them. "It gets me from A to B. "The bus will be going to Rockhampton from here. "I've got to get there earlier than the bus tonight. "I've got a program in Rockhampton tonight and the bus can't get me there quick enough. "I'll be flying on to Townsville. "It's a practical thing. I want to spend as much time on the ground with Queenslanders. "When I can be on the bus and go from place to place on the bus that's great but I'm not going to sacrifice time with Queenslanders, listening to them and hearing them and talking to them about what's important to them just to satisfy the media's interest in the timetable of the bus."